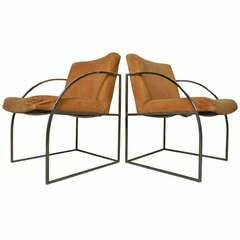 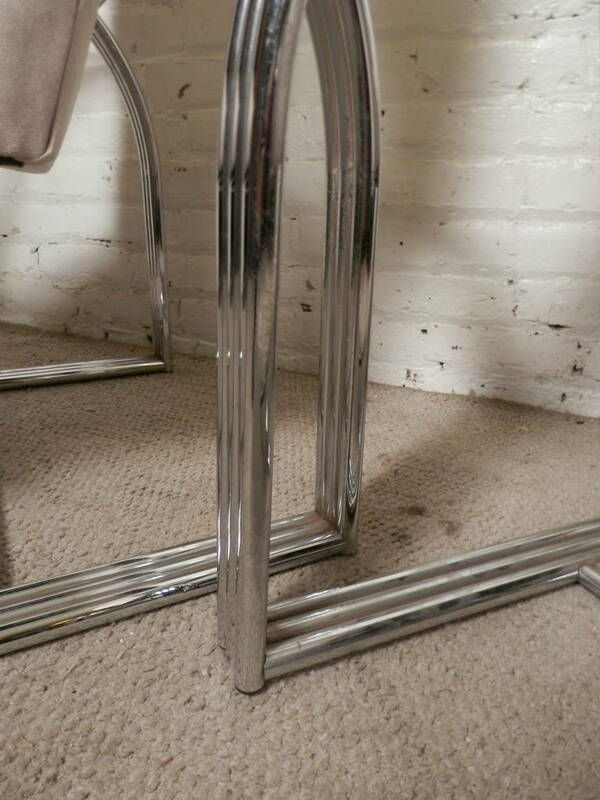 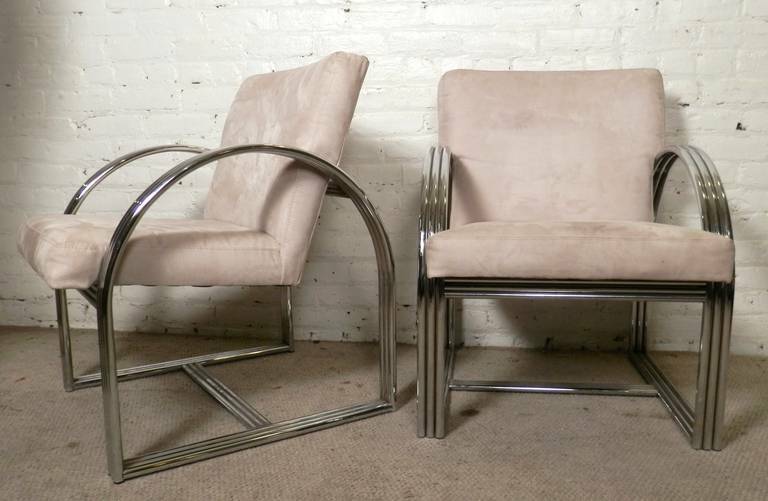 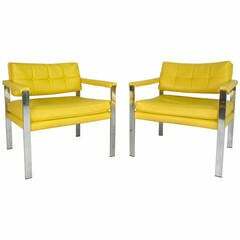 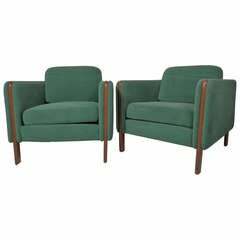 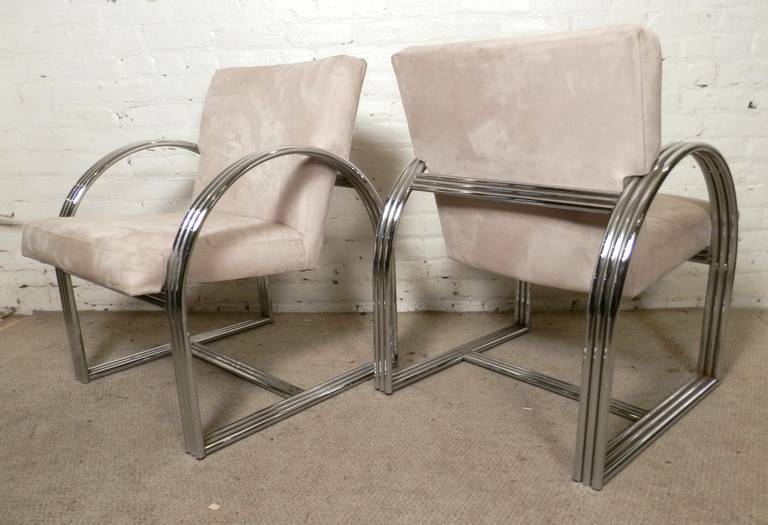 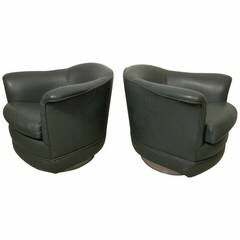 Nice pair of flat bar chrome chairs with original black Naugahyde cushions. 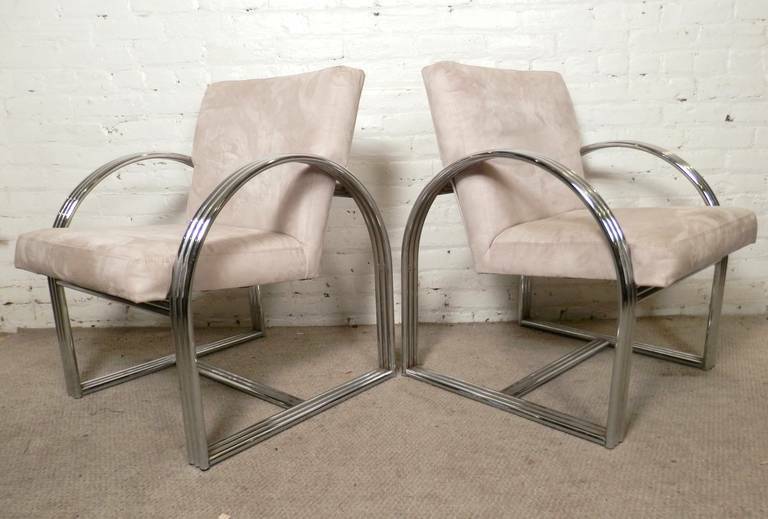 These chairs feature white vinyl upholstery and barrel-back chrome bases. 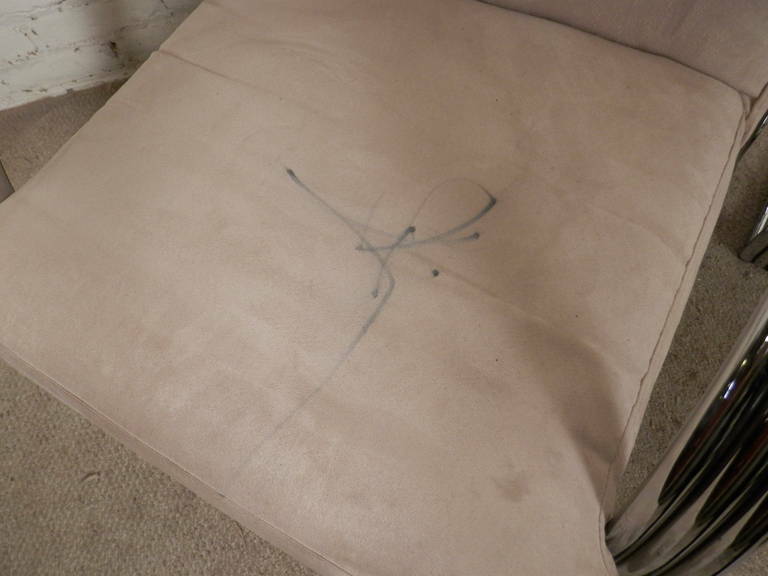 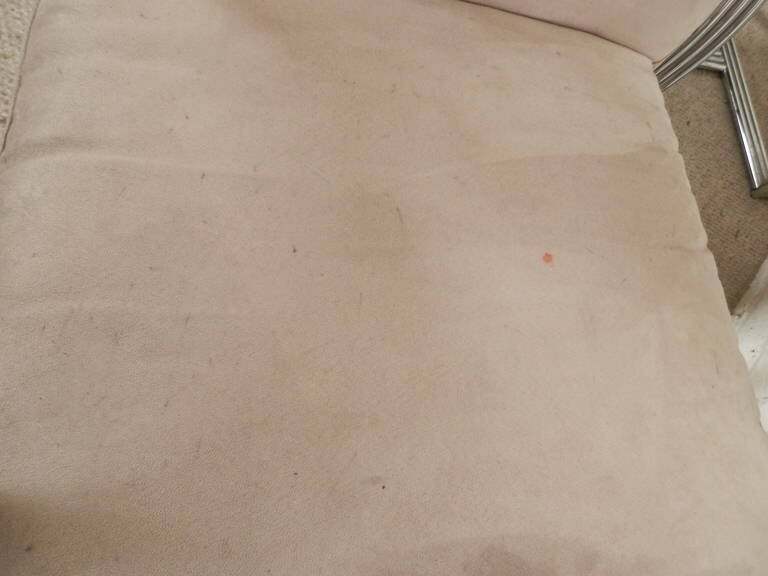 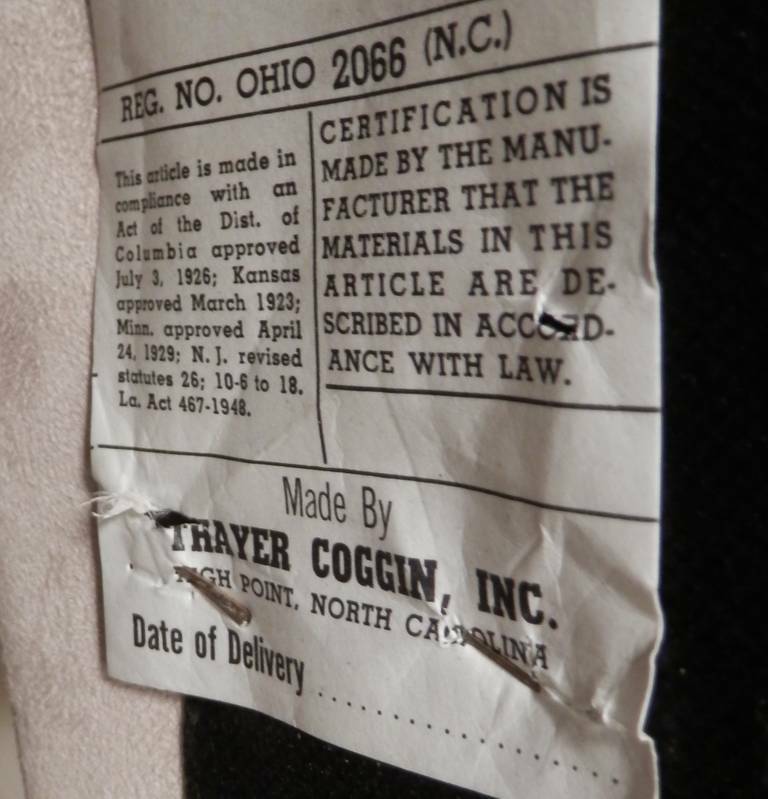 They are signed by Thayer Coggin. 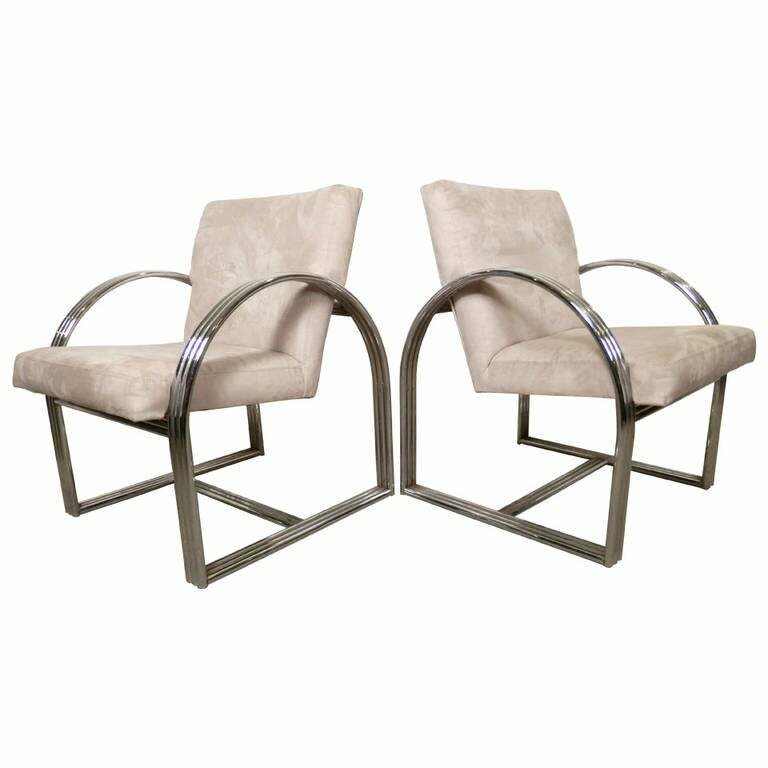 Measure: 22" W x 22" D x 27" seat height 17.5" H.